Open first Saturday of each month 10 a.m. - 3 p.m.; open first Sunday July & August 1-4 p.m. FREE admission & parking. 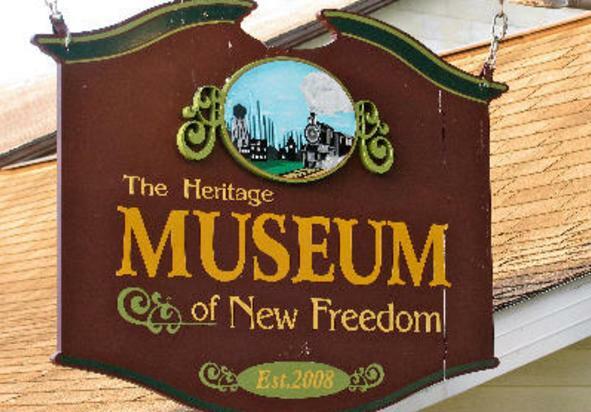 Features oral history videos, interactive kiosk, memorabilia (artifacts from Summers Cannery, American Insulator, New Freedom School, local sports teams, etc.) and docent hosts. Park with picnic tables. 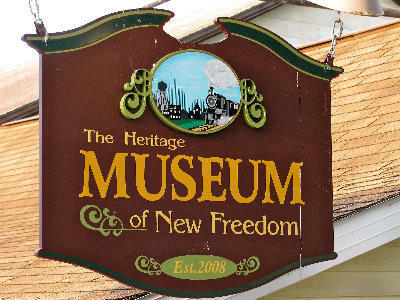 Our mission: to preserve our history for future generations through written, oral and historical items depicting New Freedom Heritage.